Leading real estate consultant CBRE Thailand reports a significant change of direction for the property market in Phuket, a trend which started late last year. The change is likely to be the most significant since the Asian crisis in 1997 and is driven by a number of factors: namely the entry of Bangkok-based and Thai public listed developers; the move towards smaller units resembling the Hua Hin and Pattaya developments and a significant increase in the number of Thai buyers in Phuket. After a period of slowdown following the global crisis in 2008, the Phuket market is now enjoying a new wave of activity. By 2011, the stage was set for a change when Bangkok based, Thai public listed developers such as Sansiri and Supalai entered the Phuket market in a significant manner. Their first projects focused on the mass entry level market and were met with instant success, selling out within days from launch to a predominantly local Thai buyer base. The success of these projects has led a number of developers to consider the viability in Phuket of Pattaya and Hua Hin style developments which attract both Thai and foreign buyers. This model is characterised by smaller unit sizes and significantly cheaper total unit prices. CBRE believe this is the beginning of a new and sustainable market for Phuket. At the end of 2012, Laguna Resorts & Hotels Plc. 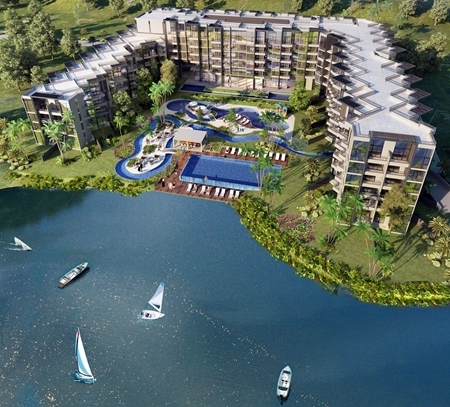 launched Laguna Shores in an almost beachfront location overlooking a lagoon within the Laguna Phuket integrated resort development. The project features small unit sizes from 42sqm, with a starting unit price of under THB 4 million at launch. Up to 47% of the units were sold in Q4 2012 to a largely foreign buyer base. This was followed in Q1 2013 by the launch of an absolute beachfront project, Baan Mai Khao by Sansiri Plc. which has attracted significant Thai demand for a Phuket project, due in part to the loyal following Sansiri has in the Thai market. The launch of Baan Mai Khao also marks the emergence of the Mai Khao area, already the location of several upscale hotels and an area with growth potential that can be compared to the development of Bang Tao in the early 1990s at the start of Laguna Phuket. 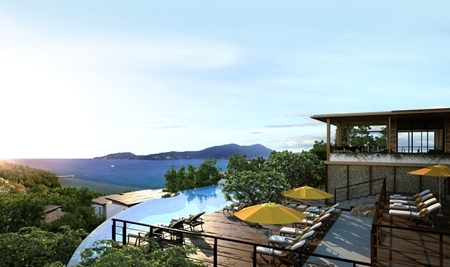 Another new project which recently began pre-sales is Amari Residences Phuket, a hotel-serviced residence located in one of Phuket’s most prime locations overlooking Patong Bay. Backed by Italthai Plc, the development is fully managed and serviced by the existing Amari Phuket Resort, providing rental management and offering a 6% guaranteed yield for the first 3 years. The launch of these projects represents a significant change for the market as they are being built by credible Thai developers who are not dependent on immediate cash flow from sales to commence construction. These projects can therefore be delivered on a timely basis and give buyers greater confidence compared to projects built by first-time developers with limited funding. The presence of these developers has also resulted in a marked difference in the product being offered where developers bring their expertise from other markets to Phuket. This is shown in the level of professionalism, quality of show suites and marketing presentation which is setting a new benchmark for the market. 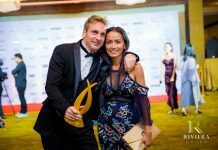 Along with the shift in the developers’ profile, the market is also beginning to attract Thai demand, particularly for Amari Residences Phuket and Baan Mai Khao where the developers are able to draw on their track record of success in Bangkok and other resort locations to secure Thai buyers. A growing number of local investors are also looking for investment opportunities beyond Bangkok, and Phuket is the ideal alternative with its ability to attract the highest number of international tourist arrivals after Bangkok and with an established infrastructure to support further growth. Although the proportion of Thai buyers is still lower than Hua Hin and Pattaya, this represents a significant change. “Having been involved in the Phuket property market for the past 25 years, this is the most significant change we’ve seen in the market since 1997,” said David Simister, Chairman of CBRE Thailand. The changes have led to renewed interest in the market by both developers and buyers, and the launch of new projects after several years of slowdown. The new Thai demand also reinforces the island’s position as Asia’s leading resort destination. With the success of these projects and the ability to draw in Thai demand, CBRE says it expects to see other Public listed developers entering the market to launch new projects with smaller one-bedroom units. The total unit prices in general will move to closer to Pattaya and Hua Hin, but as Phuket is an island, there are finite physical boundaries and hence limitations on future supply. 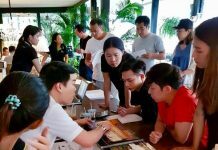 For the rest of the year, CBRE also believes there will be continued activity for the entry level segment below THB 10 million, both for condominiums, leasehold apartments and small villas in inland locations. The top-end luxury villa market (THB 125 to 250 million), whilst limited in volume, will still be sustainable in the long-term as Phuket still has significant unique attractions. In addition to interest in new projects, the secondary re-sale market in Phuket has also seen an upswing in the number of enquiries and transactions.